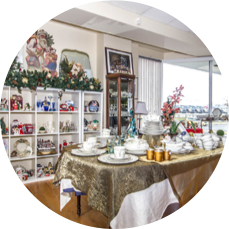 Hospice Fredericton (Palliative Care Resource Network Inc.) is a federally registered non-profit organization providing residential care and support services to individuals and families coping with advanced illness, death and bereavement in the Central New Brunswick region. Most people facing end of life prefer to remain at home. Hospice Fredericton’s programs and services help make that possible by providing care, compassion and support to patients and their families. Staff and volunteers provide care for patients, respond to the needs of caregivers, and continue to support families through the grieving process. 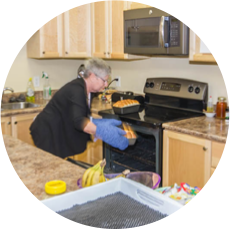 Hospice Fredericton also operates Hospice House – a 10 bed residential palliative care hospice facility. Hospice House provides a caring, home like environment for those unable to stay in their own homes at end of life. Our organization employs a diverse team of staff who deliver a multi-disciplined approach to our work. Our team includes nurses, a nurse manager, personal support workers, a medical director, cooks, house keeping staff, licensed practical nurses, an executive director, a clinical director, administrative coordinator, a project/volunteer coordinator, a social worker, a retail store manager, retail staff and a book keeper. Everyone plays an important role in making our organization meet our mission and vision for compassionate end of life care.